Northamptonshire has a wide choice of garden centres and has three which are in the top 100 by turnover. Top of the list is the Northampton Garden Centre near Wootton. Next is Harlestone Heath Garden Centre now owned by Wyevale Garden Centres. The third is the independently owned Podington Garden Centre, this is the one to visit if you value personal and knowledgeable service. For the slightly quirky, visit Beckworth Emporium which serves, what must be, the best afternoon tea in Northamptonshire. This is more of a food destination site than a nursery. We suspect the plants side of the business is a small part of the overall turnover compared to the restaurant, food hall and the ice skating businesses..... Click here for the full review. Chris Littlewood established the plants nursery in the late 1980s and it has expanded to include a thriving floristry business and a farm shop selling local produce. The farm shop stocks a large range of local meat .... Click here for the full review. The garden centre is a large part of the a business which has two other sides it - the plants nursery business and the landscaping operations. Many of the plants sold in the garden centre are grown in .... Click here for the full review. Cherry Lane is the generic name for garden centres owned by the QD Stores Group. Their branch at Potterspury, Towcester is .... Click here for the full review. In 2006 they expanded their plant range to include dahlias, lavender, agapanthus, penstemon and heuchera. This expansion is clearly going well because in 2012 they gained planning permission for a .... Click here for the full review. Harlestone Heath is about two miles north of Northampton and on the A428. It is modern and purpose built looking very impressive as you park your car. The plant sales area is large and designed in .... Click here for the full review. 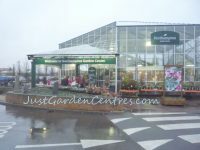 Rated as the 32nd largest centre by turnover, Wyevale Northampton Garden Centre feels smaller than that when you wander round the interior sales area .... Click here for the full review. For Podington Garden Centre life began way back in 1976 as a plant and vegetable nursery and has undergone a series of developments into the large garden centre you see today. It is still a family run business although .... Click here for the full review. The plants area of the garden centre is well kept and the surface is mainly laid with concrete slabs. They stock a good range of plants at prices which are generally cheaper than the competition .... Click here for the full review. The design of the exterior of the plants area is in a basic nursery style with many of the plants laid out at ground level. 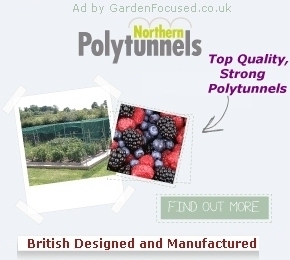 They stock a range of shrubs, roses, bedding plants, ornamental and fruit trees, climbers .... Click here for the full review.